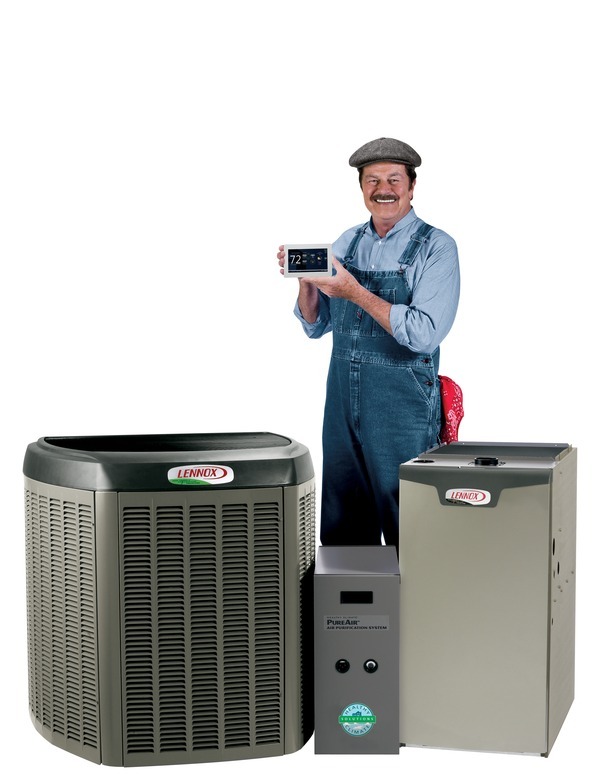 Hovland’s offers a full line of Lennox heat pumps, which can provide an energy efficient heating and cooling option here in west-central Wisconsin. A heat pump operates like a central air conditioner in the summer, but can also heat your home when the weather is cooler. In the summer, a heat pump collects excess heat from your home and transfers it outdoors. In the fall, when temperatures begin to fall, it extracts heat from the outdoor air and transfers it inside to circulate and warm your home. Here in Wisconsin a heat pump is typically installed with a gas furnace. The blower on the gas furnace is used to circulate the air through the home’s duct system. The gas furnace is also used to heat the home when outdoor temperatures are too cold for the heat pump to extract enough heat from the air to heat your home. This “dual-fuel” system automatically keeps your home comfortable, while operating efficiently to lower energy consumption. See below for a summary of available Lennox heat pumps. Contact us today for additional information.